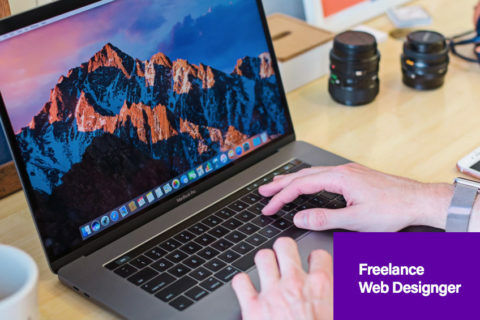 If you are a web designer and you are currently working as a freelancer or in any digital agency, then you must follow the latest web design trends to make improvements to your current work. Following the latest trends in design, the industry is necessary for you to continue an excellent job in the industry. Moreover, you will receive fantastic information on how things are changing and how users are looking for exceptional web designs in 2017. There are countless blogs out there that will provide useful information on how to improve your current web design process. Let’s have a better look at the ten favourite design blogs every web designer should follow in 2017. To find quality content about web design, you can check out this design blog, and it shares all the information that you are looking for. 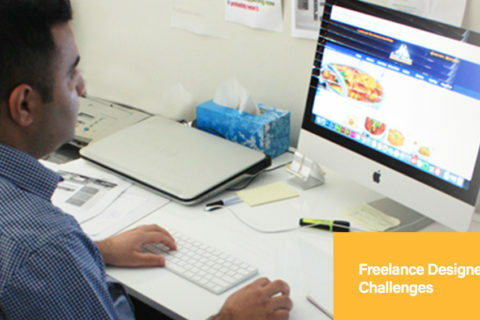 You will be able to find multiple creative tips on web design process and how you can improve your web designs. You will be able to know about all the latest trends and how people are creating amazing designs out there. You can quickly improve your designing skills by checking out the daily creative tips from this web design blog. Design Instruct is one of the famous web magazines where you can find different tutorials on web design process. This blog will provide you all the vital information you need to improve your current web design process. Moreover, you will be able to know about the web design impacts on multiple things. It is a useful source to gather information about the new web design trends and techniques that you can use to create amazing web designs for yourself. It will cover almost everything that you are looking for improving your web design techniques. Webdesigner Depot has always focused on providing quality content for the web designers. You can find all the essential tips and creative solution to web design problems. Moreover, their news section can give you all the information about the new web design trends and how you can make things better in the current year. You will be able to know about all the new tools and apps that will help you create amazing web designs. Another beautifully designed web design blog that you should follow in 2017 is Mockplus blog. They share all about graphic designs, prototyping, UI/UX design and you will be able to find quality information using this specific blog. It can provide you multiple benefits if you are a web designer and you will be able to improve your current skills in a much better way. Moreover, you can learn about all the latest web design trends from this specific blog. As the name suggests, you will be able to find quality content about the latest web design trends. More importantly, if you are a web developer, then you will also see top quality content for development. Designer daily shares amazing ideas on the new web design trends and how it can benefit your web designing and development business. You can find tons of useful information on this specific design blog. WPKube provides excellent information about the latest web trends that every web designer should follow. Moreover, if you are a beginner, and you are searching for the tutorials on how to get started with web designing, then it is the perfect blog for you. You can find all the fantastic information that will help you come up with a great web design for your upcoming projects. You can find guidelines, security tips, development tips and much more by following WPKube. Creative Boom is a nicely designed blog where you can find everything related to design. You can get innovative web design ideas if you are following this specific blog. They have multiple categories, and they are providing tips for the designers who are about to start their web design career. For every web designer, photographer, and developer, this specific blog is an excellent source of information so you can find quality results. Design Bombs is another excellent source for all the information you need on latest design trends and guidelines to improve your current web designs. It is also an excellent source for the web developers, and you will be able to find the latest news about the web design and development. For every web designer, it is necessary to follow the trends and news in the web design. Design Bombs shares the quality content that will help you improve your business. If you are starting your career as an online entrepreneur and you are looking for the guidelines on multiple things, then you should follow Oberlo blog. It will provide you all the information that you are looking for, and you will be able to get the desired results. If you are starting a career in e-commerce, then you will be able to find all the information and guidelines on e-commerce success. If you are a web designer, then it will help you improve your skills and will keep you updated about the latest web design trends as well. If you are searching for the design and web development blog and you want to see the latest design and development trends, then you should consider visiting Designmodo now and then. You will be able to find all the information that you are looking for improving your current web design process so you can avoid mistakes in your work. Moreover, you will be able to know about the latest trends in the design industry by using this specific web design blog. As a professional web designer, it is always necessary to follow the latest trends so you can make required changes in your design process. The best way to understand how the web design trends have changed over the years is to create a detailed comparison of different design trends. In 2017, there has been many changes focusing on the improvement of user experience. You can follow the web design trends of 2017 and improve your web designing skills by following the quality blogs out there.